Beautifully updated home with unique features. 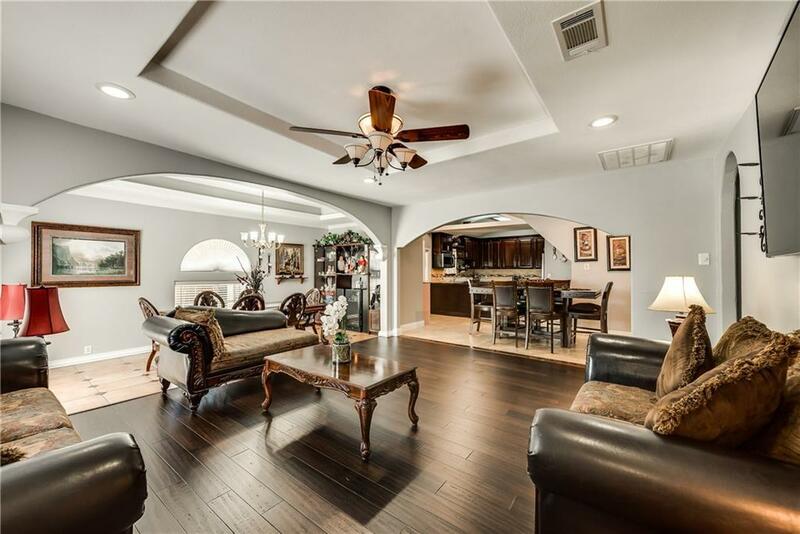 Stucco finish, plenty of parking, drive through tandem garage. Open concept living-dining-kitchen. Arched doorways and vaulted ceilings. Crown molding, custom paint throughout. 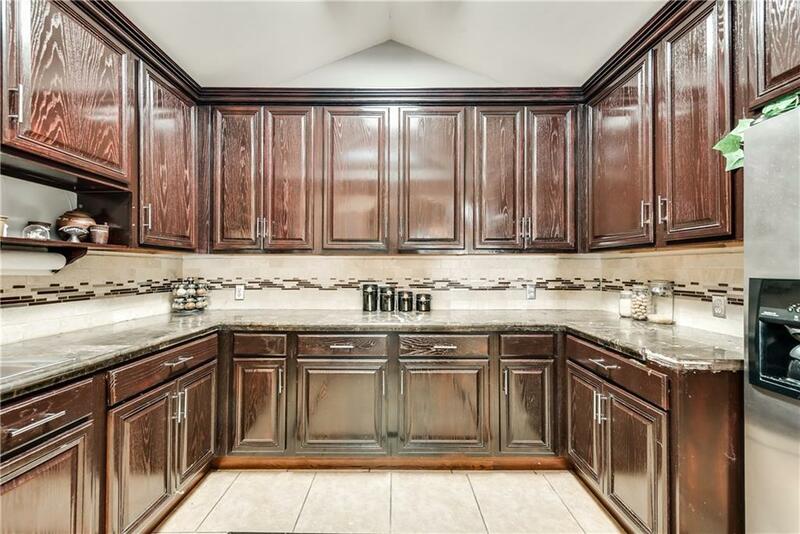 Kitchen with tile countertops & backsplash, stainless appliances including built in microwave. Large bedrooms throughout. 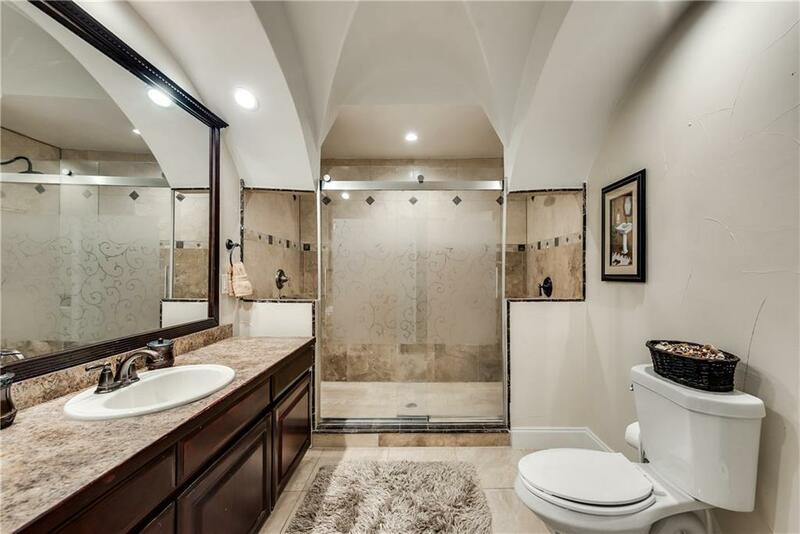 Two updated bathrooms with large showers. Large lot, almost a quarter acre, plenty of shade trees and space for entertaining and for kids & pets to play. Additional parking in backyard accessible through garage. Storage building. 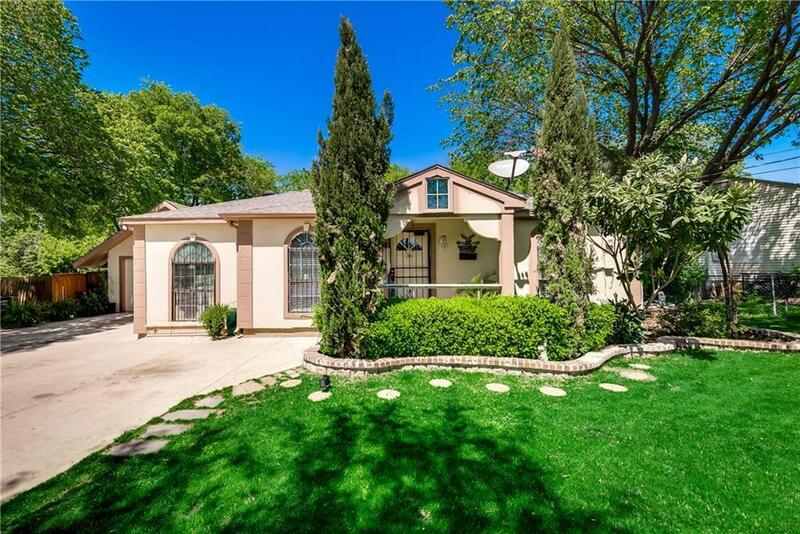 Great location with a quick commute to downtown Dallas. Offered by Chad Smith of Keller Williams Arlington.